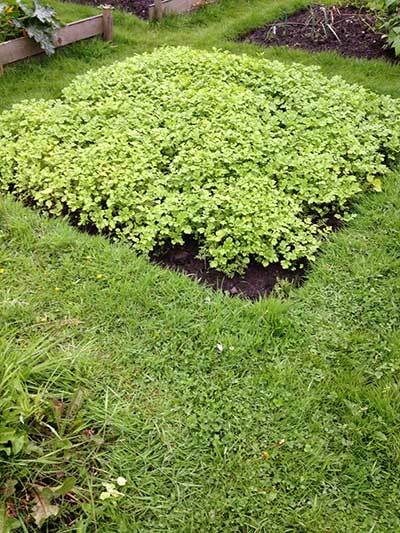 If you find yourself with empty space on your plot and don't have a plan to fill it this season, why not try some green manure to improve your soil for next year. Direct sow seeds from early spring to late summer into prepared soil. They will quickly establish. Roots help break up heavy soil, improving its structure and releasing valuable minerals and nutrients into it, while aiding moisture retention and supressing weeds. Cut plants down at between 8 and 10 weeks, or before they flower. You can either remove and compost them or leave the foliage to rot (treating it like a mulch). ​Cultivate the soil again, ready for planting or sowing seeds. Green manure comes in a variety of mixes which may include grasses, oriental salads, legumes and flowers. Rye grass and clover are useful for very heavy soil but bear in mind they are difficult to dig in if left to mature. Field beans are good for setting nitrogen. Lighter mixes are perfect as a general mulch.